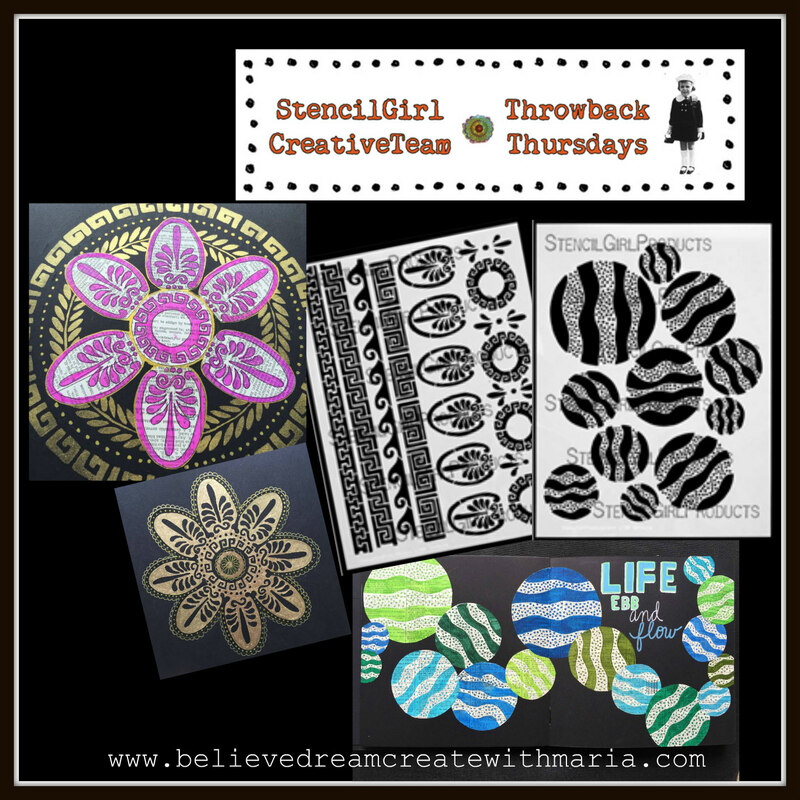 Welcome to the first ever StencilGirl Throwback Thursday! Makes me smile to be back playing with the StencilGirl Team. 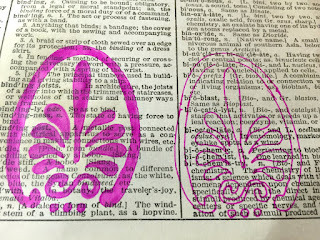 Today I'm working with two of the very first stencils that I designed for StencilGirl. When I look back now I can see that I came a very long way in my stencil design...still, these two both have very special places in my heart and I still use them on a regular basis. 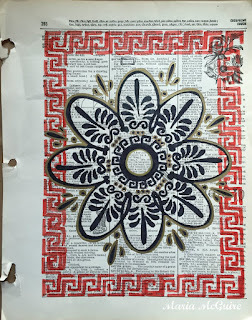 I decided to use them in a more simplistic form today to show what you can make with just some pens, dictionary paper and maybe a little paint. 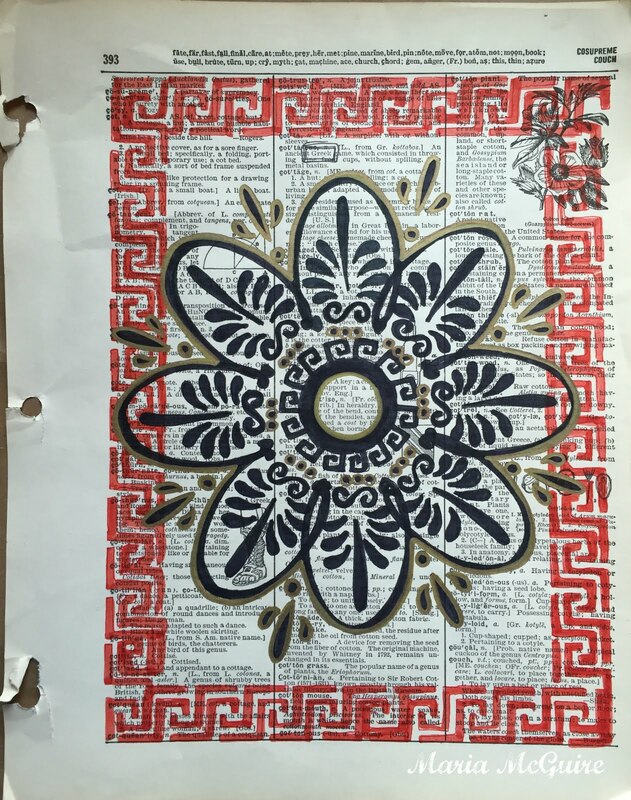 I got my inspiration from two pieces I did on dictionary paper with these stencils. I can't just sit at night, I'm always doing some kind of doodle or stitching. 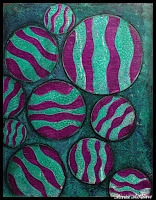 For the new art journal pages I started in the same way....just making pieces to use. 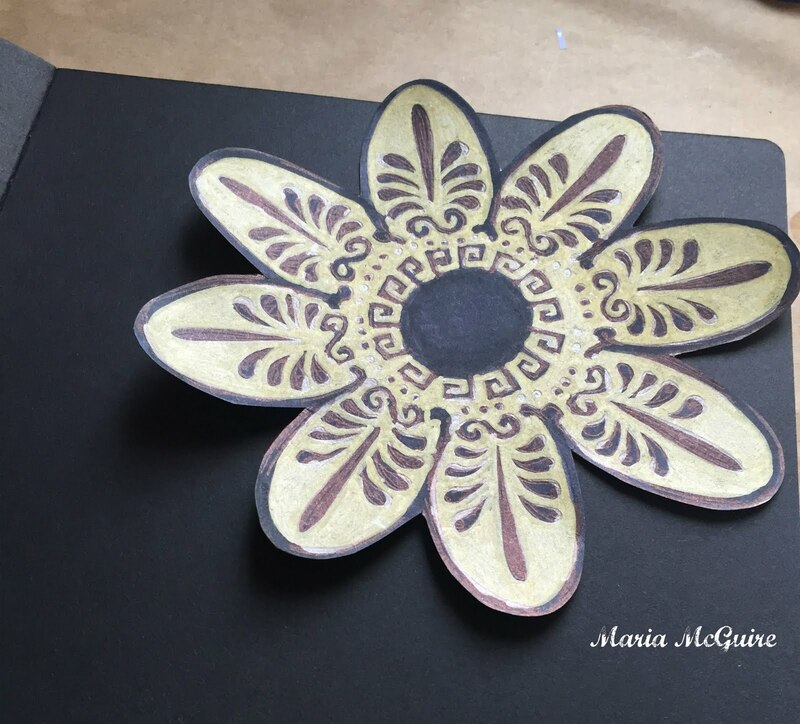 To start my first layout, I used parts of Stitch a Greek Medallion. 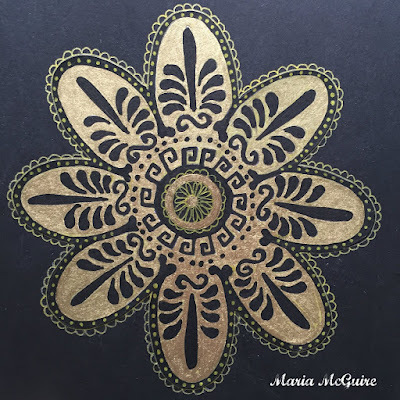 This was the first stencil I ever designed :) Just a little gold paint, who doesn't love gold against black! Then I laid my pieces out. 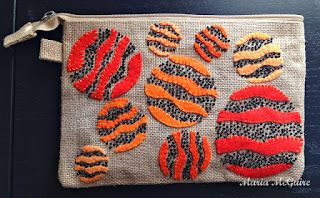 I did the same with the Stitch a Circle stencil. 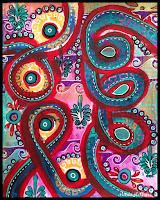 This is another where I doodled onto a piece of cardstock and then cut it out and glued in my journal and then doodled. Just leave a comment below by Sunday, May 29th at 11:59PM Central Time. 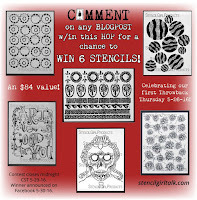 Winner will be announced on StencilGirl Product’s Facebook Page on May 30th. The stencil on top of the book paper is gorgeous! 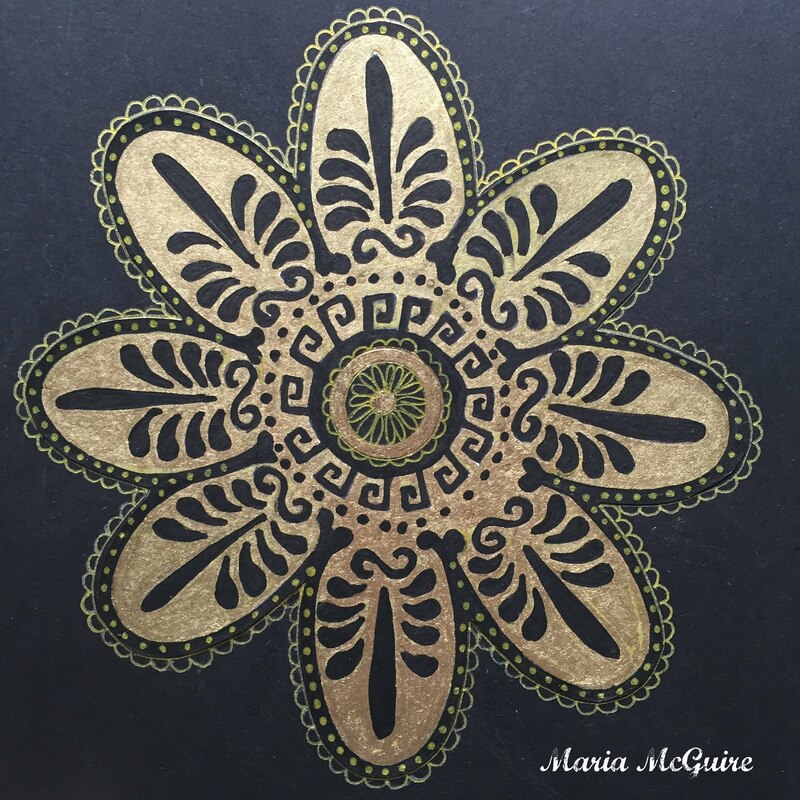 Hi Maria, wish we saw more of you and your lovely creations! 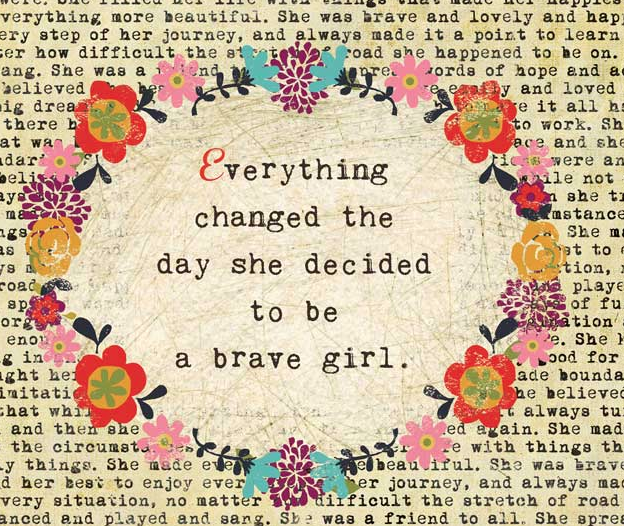 I love these, feeling very inspired. Your Greek is still one of my favorites! Love all of these. 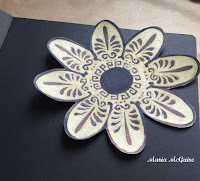 The stitch a circle stencil is high on my "need" list! Love the what you created with these! 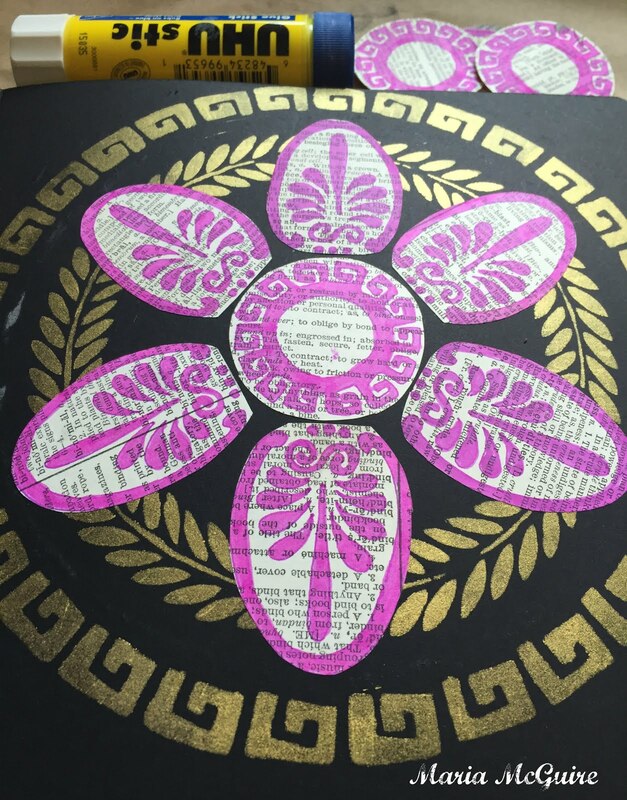 Making the petals into a flower is wonderful but I really like those circles. I loved the gold on black. So striking! 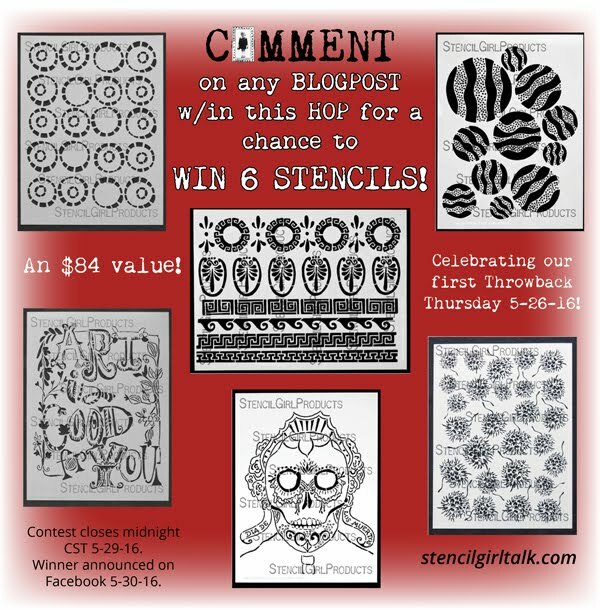 Your stencils are always among my favorites! These are awesome Maria! LOVE what you've done with these! And now I'm wondering why I don't have your Stitch a Greek Medallion stencil yet (putting on to-do list to rectify :D) So glad you were able to join us for the hop! How very creative you are! I'd say your night time doodling has paid off! This is gorgeous!!! These look fun! Like I said on the other sites....Stencils make my world a better place! Thank you! I love the Greek boarder stencil and never thought to used it like this. Thanks! I love the circle stencils. You put this page together in such an interesting way! Such exciting projects! Makes me want to try everything at once! Maria, you're great! 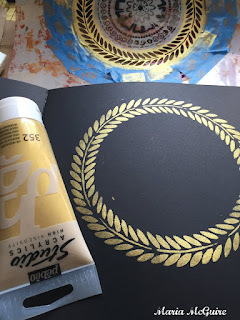 I love the idea of stenciling on printed pages - LOL I never had thought of that before! Thanks for continuing and ongoing inspiration. 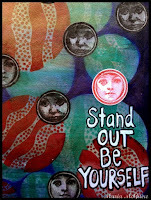 It is always fun to see new ways to use stencils and I love yours! Thanks for a chance to win! 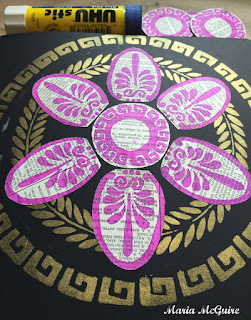 Can't make it to Greece but your Greek stencils could help me to dream! I love seeing how you combine the pieces in such different arrangements. I love those circles! Your artwork inspires me to play. Love this stencils and your creation are amazing. Thanks for all the inspiration. Love that Grecian theme. I"m new to stencils and love seeing your art. 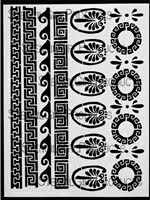 I just love the Stitch a Greek Medallion Stencil!! Thanks for the chance to win!! I especially like the touch of gold and the medallion - adds that extra touch! I love the Stitch a Circle stencil. I have put it on my wish list and I am hoping someone will get it for me on my birthday (coming up in June). Awesome projects and fantastic stencils , as always ! I luv the stenciled pieces in print. Thanks! kittenkohl at gmail dot com. what fun! 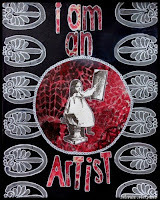 I love how you can use bits and parts of your stencils to create something yet again different. 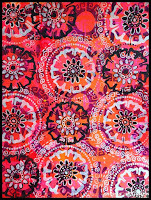 And thank you for reminding me that parts can also be used to create a pattern which is an altogether new look! Yay! Beautiful stencils and thank you for sharing some neat projects using them! 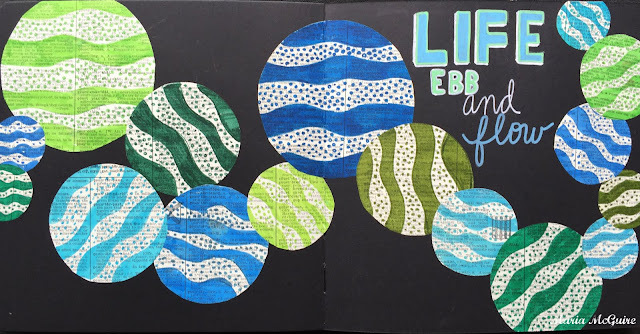 Those are great ideas for using stencils in different ways! Thanks for the beautiful inspiration! 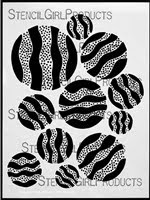 These stencils look very versatile. 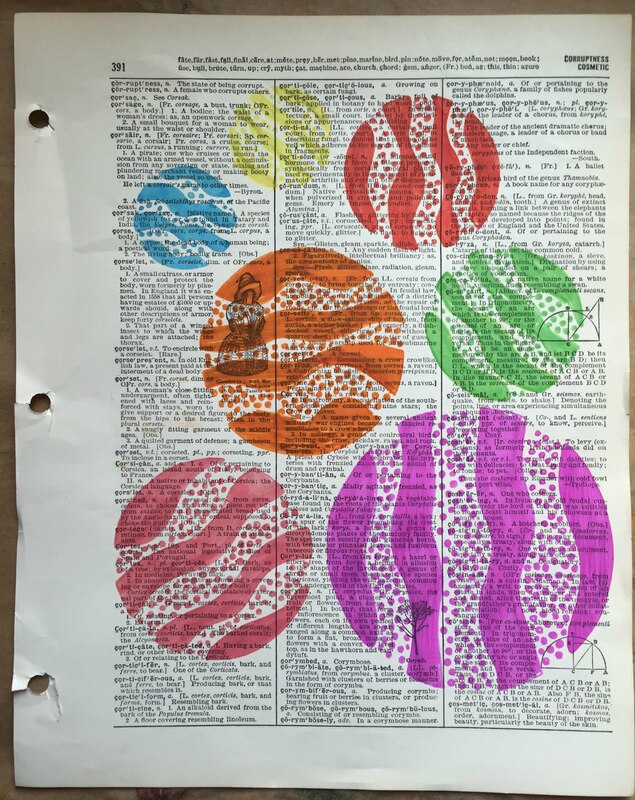 Love how you used the stencil on the dictionary pages & cut out! I love stencils & use them often. Thanks for the chance. I love what you did with your stencils & the dictionary paper, which I also love. Sincere "Thanks" for the opportunity to win your design. 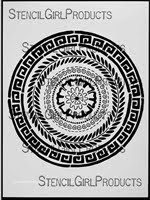 I have eyeballed your circle stencil for quite some time. I really love the idea of the gold on black - so stunning. Thanks for sharing your creativity - it is inspiring to me! I love how you used these stencils. So many great stencils. Love how you've used them in inventive ways. Love how you made the flower out of the ovals. what creative ways to use the stencil!! 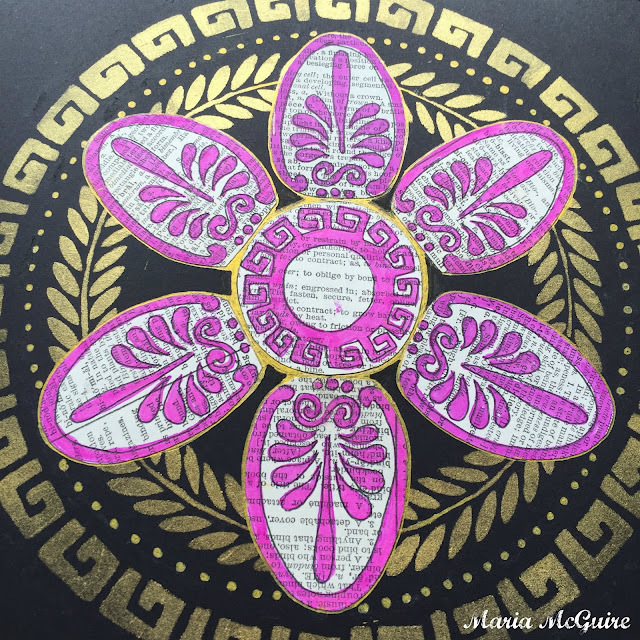 Love how you layered the stencils and the dictionary paper with the black and gold! So striking! 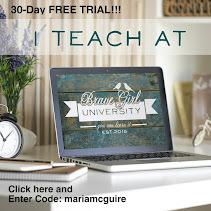 Maria - I prefer not to have my email address in public comments. i can be found on IG @anlinadesignsdolls. Thanks! Love these stencils. Thanks for the chance to win. Very creative use of the stencils! Thank you for a chance to win! 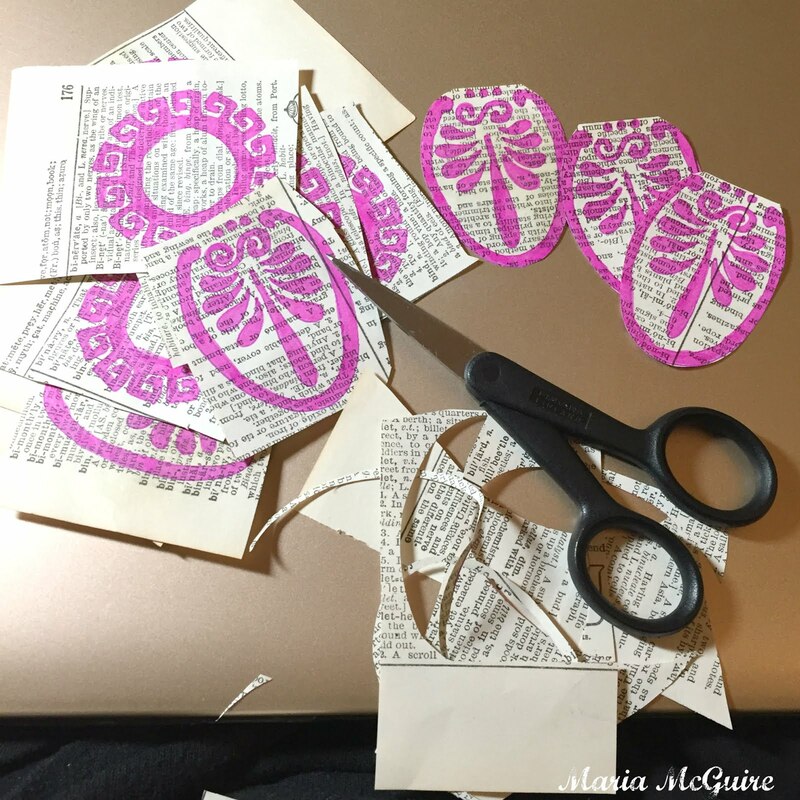 Love the way you used stencils as "puzzle pieces" . Your work is lovely. 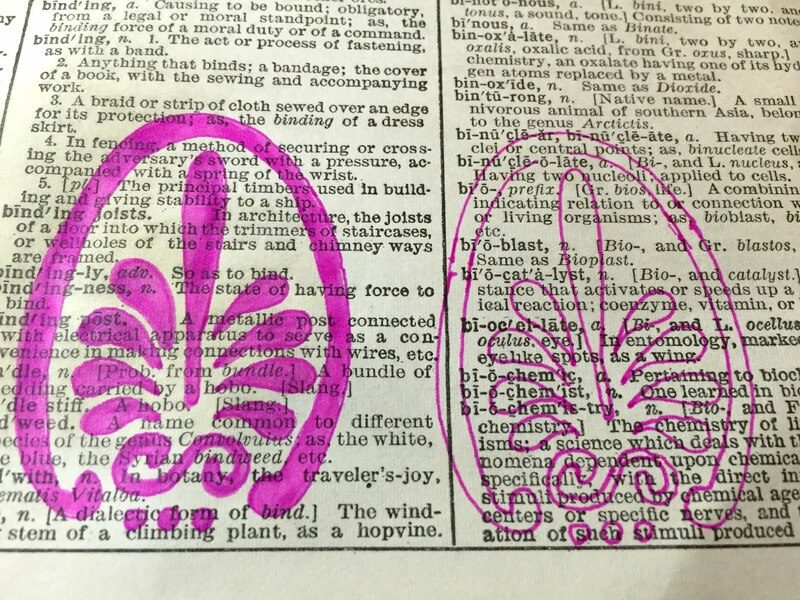 These stencils never go out of style! Awesome! !